Overview of recliners and lounge chairs offered are shown below. Click on photo or caption for a complete description of the product. Complete details on all of the above recliners are shown below. Choosing the right recliner to fit your needs is very important to you and us. We truly want you to be satisfied with your selection. That's why we offer you a large selection of quality products, low prices and the most complete product information in the industry. 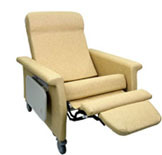 See our 38 hospital medical recliner and lounge chair choices shown below. Then please feel free to contact us with any questions. These are multiple-use Mobile Medical Recliners and Stationary Medical Recliners. 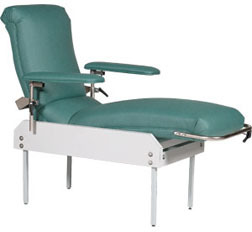 They are often referred to as Hospital Medical Recliners, Surgery Dept. Recliners and Recovery Room Recliners. 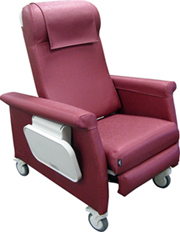 But they're also used as Infusion Therapy Recliners, Chemotherapy Recliners and Oncology Recliners. Other descriptions include Outpatient Recliners, Day Surgery Recliners and Catheter Lab Recliners. 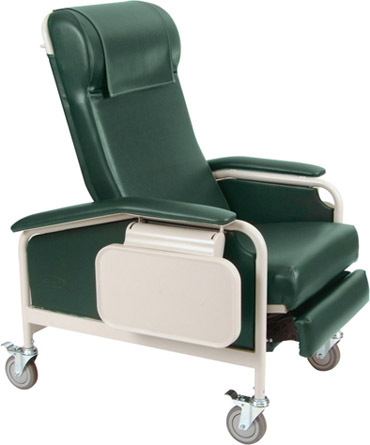 Hospitals often use them as Patient Room Recliners, Intensive Care Recliners, Emergency Dept. 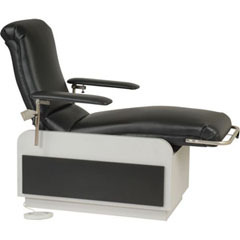 Recliners, Bariatric Recliners, Reclining Treatment Chairs and Reclining Phlebotomy Chairs. 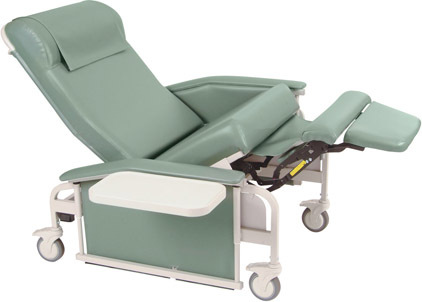 Other Healthcare facilities will use these ergonomic Healthcare Recliners as Surgery Center Recliners, Dialysis Recliners and Clinical Care Recliners. "In-Home Comfort" together with convenient, practical features ideal for your patients and visitors. Comfortable, ergonomically designed recliners with convenient features is what sets La-Z-Boy apart from others. Features like side trays, I.V. 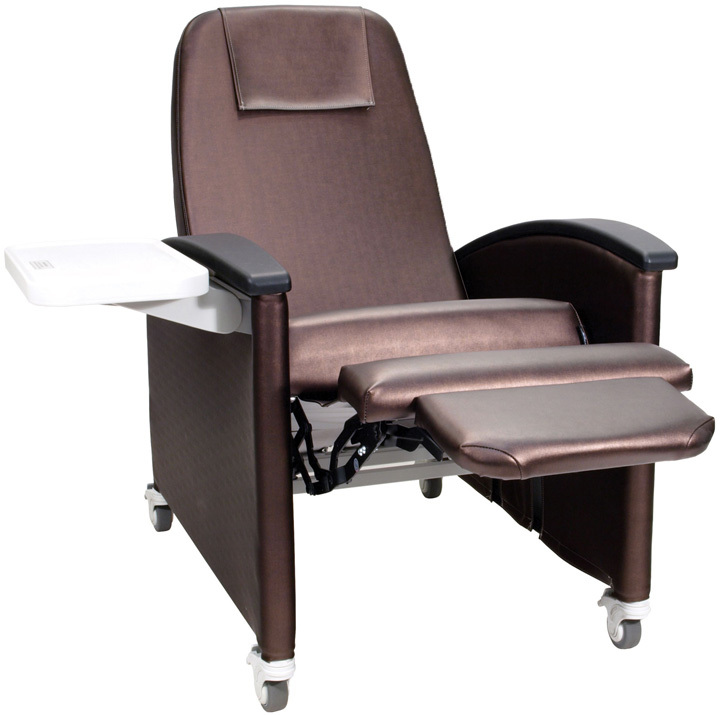 mounts, single touch locking casters and full flatbed reclining make for a functional "head to toe" seating solution for you and your patients. Synchronized back and seat recline motion provides infinite seating positions. 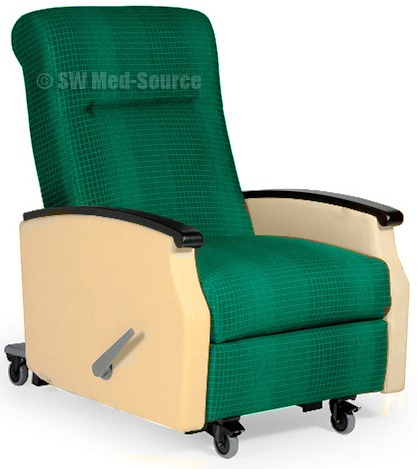 Patients can adjust seating positions to their exact preferences through simple body movement. An exclusive seat back hinge duplicates the natural motion of the patient's body to enhance comfort. Make your selection from the numerous models shown below. These are the same recliners shown in the above thumbnail photos except there are more details and larger photos. One or more of these recliners should meet your requirements. Please call us with any questions. Seat width: 25"; Seat depth: 20½"
Seat height from floor: 21½"
Arm height from floor: 27½"
Back height from floor: 44½"
Back height from seat: 28"
Supple contours, rolled arms and generous cushions make this an inviting place for both patients and visitors to find rest and relaxation. 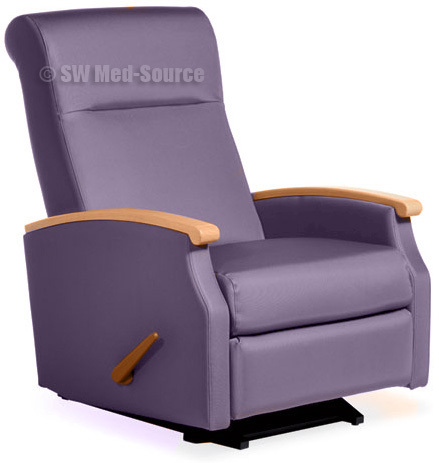 Stress-reducing comfort for patients... and caregiver convenience means this recliner an excellent choice for patients undergoing treatment requiring extended sitting periods. Posture-correct lumbar and lateral cushioning, sinous wire-spring and foam construction are features included only on quality recliners such as this one. Its wider 25" seat and 500 lb. weight capacity assures you this recliner will accommodate both your larger and smaller patients. 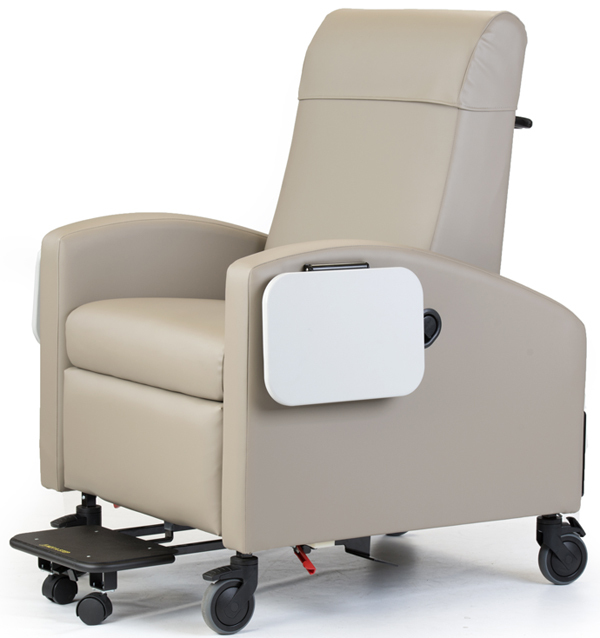 Optional features such as side trays, IV pole and foot tray make treatment less stressful for the patient and more efficient for caregivers. 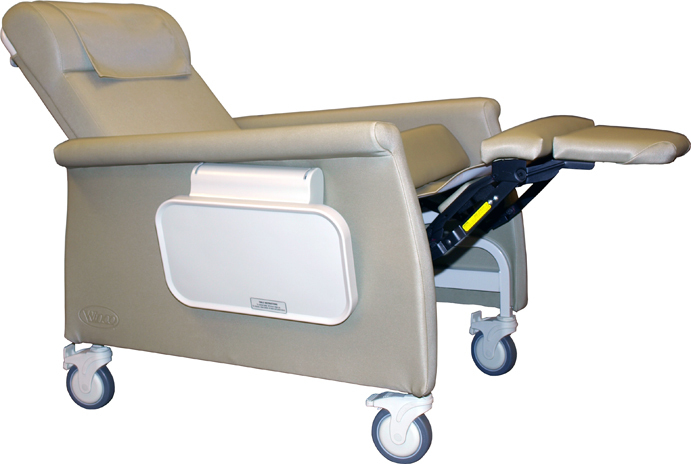 Includes Black urethane arm caps, Grey reclining handle and a 25" seat width. Features 2 front locking steer casters and 2 rear locking swivel casters. 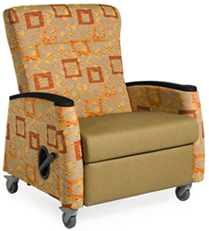 Choose from infinitely adjustable locking or non-locking backrest. The locking backrest option includes a lever on the inside of the armrest. 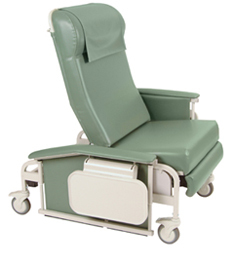 It allows the patient or caregiver to lock the reclining backrest into a set position. 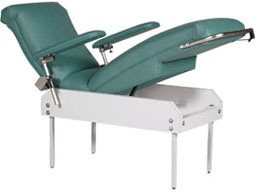 #HM Heat/ Massage, certified to UL6061-1: $475. Note: Push Bar and Gray Reclining Handle are standard. 3) Contact us for upholstery color sample cards or an official quotation. applies for 3 or more. Includes free freight*, dock to dock within the contiguous 48. Liftgate/ Inside delivery is additional. Approx. 4 - 6 weeks. 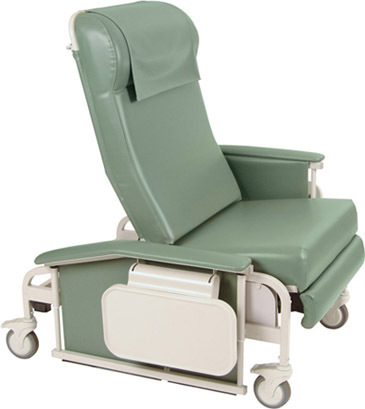 Includes Black urethane arm caps, 25" seat width and Grey reclining handle. Rocker function can be locked out by caregiver so it can perform just as a recliner. *Note: Pricing in right column is based upon grade 6 upholstery. Actual pricing is based upon upholstery grade selected. Five different grades are available. #MB2 Moisture Barrier. $27 per cushion. Available in 16 different wood finishes. *Note: Actual pricing is based upon upholstery grade selected. Five different grades are available. *Quantity discount applies for 3 or more. #MB2 Moisture Barrier: $27 per cushion. #FT5 Regular Foot Tray: $70. 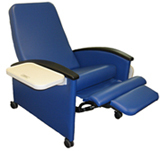 Provides a comfortable platform for your patient's feet. Seat width: 24"; Seat depth: 21"
Arm height from floor: 28"
You will find that Tranquility easily lives up to its name. Stylish arms and generous cushions make this an inviting place for both patients and visitors to find rest and relaxation. Stress-reducing comfort for patients... and caregiver convenience means this recliner is an excellent choice for patients undergoing treatment requiring extended sitting periods. Its wider 24" seat and 600 lb. weight capacity assures you this recliner will accommodate both your larger and smaller patients. Includes Black urethane arm caps, Grey reclining handle and a 24" seat width. Features 1 ea. 4" front locking steer caster and 3 rear locking swivel casters. #HM Heat/ Massage, certified to UL6061-1: $462. Note: Push Bar and Grey Reclining Handle are standard. Removable Right Arm Facing. This allows for easier patient transfers. 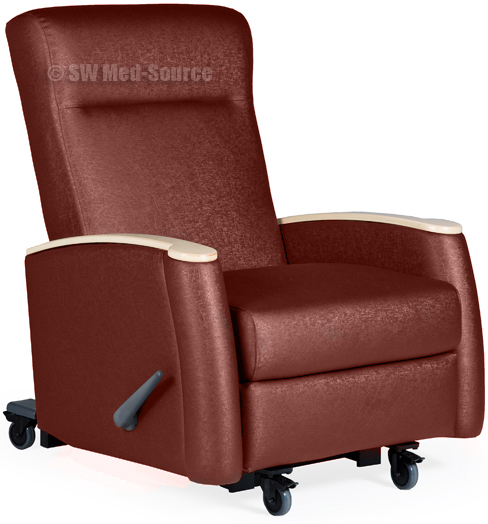 Seat width: 29"; Seat depth: 21"
Back height from floor: 45½"
Back height from seat: 26"
This Bariatric Recliner with a 29" wide seat and 750 lb. weight capacity will accommodate your larger patients. Stylish arms and generous cushions make this an inviting place for both patients and visitors to find rest and relaxation. Includes Black urethane arm caps, Grey reclining handle and a 29" seat width. Features 1 ea. 4" front locking steer caster and 3 rear locking swivel casters. #TE Trendelenburg: Not available for this model..
CAL TB133 Fire Resistant Barrier: $347. This price varies depending upon the yardage required to cover the specific recliner model. *Note: Actual pricing is based upon upholstery grade selected. dock to dock within the contiguous 48. Liftgate/ Inside delivery is additional. Seat width: 22¼"; Weight: 82 lbs. Wall saver recliner only, no rocking. Sits just 6" from the wall! Smooth patented rocking mechanism soothes patient and eases stress. It's ergonomically efficient with lower lumbar support. Ideal for small to average sized individuals. Note: Seat width is 22¼". Its fully enclosed padded arms cradle the patient in comfort, making it ideal for many mothers holding or nursing infants. Seamless construction with streamlined cushions and easily removable back facilitate cleaning. Vinyl edging is standard. regular height receiving dock within the contiguous 48. Winco Recliners have more of an institutional look. But they have many features needed by busy facilities. And they're less expensive! transferring of your patients to beds, x-ray tables and surgery tables. Deep recline and trendelenburg is standard together with a durable steel frame and higher weight capacities than many recliners. Made in the U.S.A. Winco Recliners are well built and they usually can be delivered within two weeks! See complete selection below. oncology, respiratory and critical care. reclined position: 31"w x 76"l.
with a 275 lb. weight capacity. This 3-position recliner also has an infinitely adjustable back and true trendelenburg positioning of the chair back. It has four heavy duty 5" nylon casters with positive locking swivel & wheel brakes. Deep recline and Trendelenburg position can only be attained by the attendant. Standard release handle feature for quick back release. Spans entire width of back, can be operated from either side of chair. Blow molded side table with recess for cup on both sides. Welded powder coated steel frame has a 5 year warranty. Weight capacity: 275 lbs. 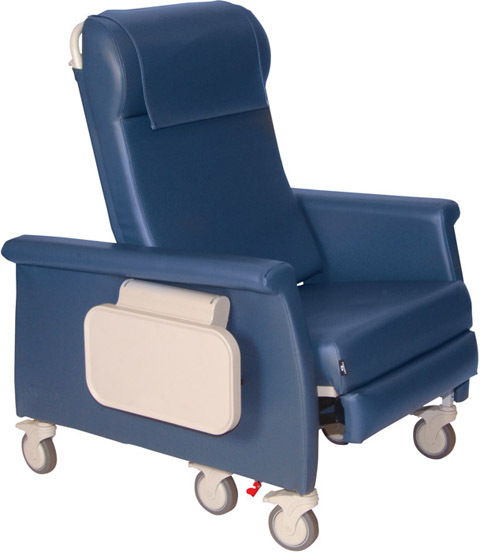 Also available with optional IV Pole attachment, steel casters, heat & massage feature and CA TB-133 cover grade. IV Pole mounted at head end. Note: Winco's two competitors' recliners are made overseas with a much longer 4 to 7 week delivery time. Why wait? Winco's delivery time is about 4 weeks. And our prices are the best! Used in dialysis, blood collection, oncology, respiratory, critical care and cardiac. 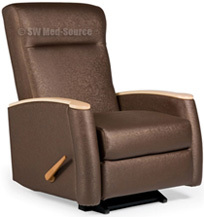 Footprint in reclined position: 35"w x 76"l.
Care Cliner with a 450 lb. capacity. It has four heavy duty 5" nylon casters with positive locking swivel and wheel brakes. Welded powder coated steel frame has a 5-year warranty. Weight capacity: 450 lbs. Features a built-in ergonomic headrest. 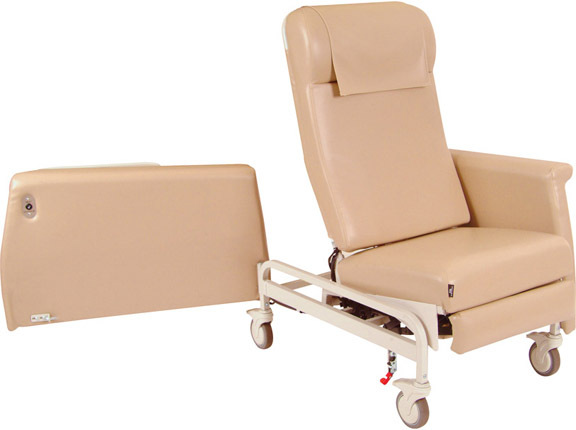 Care Cliner w/ a 275 lb. weight capacity. Features an exclusive "one-touch" action that drops arm securely in place. Chair can be rolled with arm down. Both arms drop independently. Heavy duty spring pins lock arm securely into place. Arms drop level with seat for easy transferring. Deep recline and Trendelenberg position can only be attained by the attendant. Blow molded side table with recess for cup on both sides. Welded powder coated steel frame has a 5-year warranty. Weight capacity: 275 lbs. with drop arms & 450 lb. weight capacity. 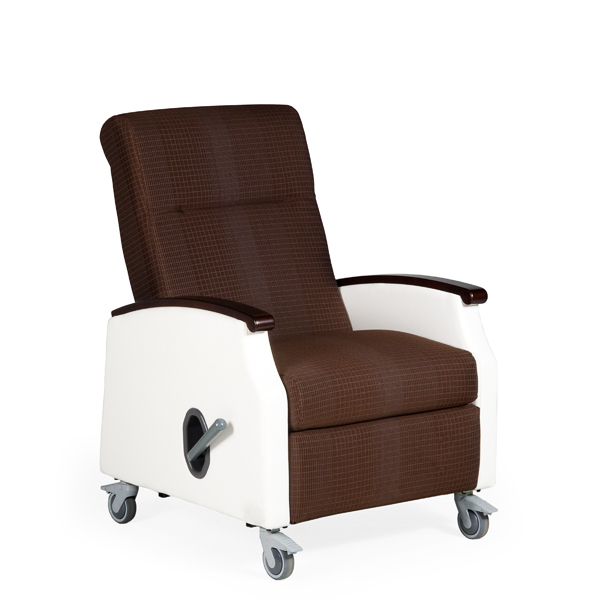 Since the patient's body weight is evenly distributed over the recliner's leg and back section, this unit reclines easily for both small and large sized patients. Both arms drop independently. Heavy-duty spring pins lock arm securely into place. Arms drop level with seat for easy transferring. Welded powder coated steel frame has a 5-year warranty. casters and 1 steering caster. Features smooth, seamless upholstery that does not collect fluids and is easily cleaned. Trendelenburg release on back. Handle is accessible from either side. Legrest extends automatically and three positions can be attained by the user. The non-porous blow molded fold down side tray with cup recess is mounted on both sides. A built-in ergonomic headrest and an elastic open seat base provide exceptional comfort. Options include 4 Heat Levels and 4 Massage Settings. (6900NH); CA TB-133 Vinyl. 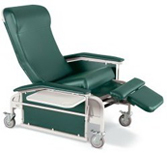 Also available without side trays but the cost would be the same as the #6900.
with backrest reclined: 76½" long. with a 450 lb. weight capacity. The 6910 Elite Care Cliner is the Extra Large version of the popular 6900. It features smooth seamless upholstery that does not collect or harbor fluids. And it is easily cleaned! 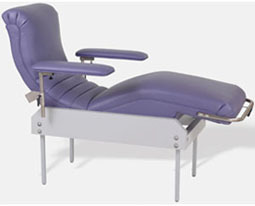 The leg rest extends automatically into three different positions. A non-porous blow molded fold down side tray with cup recess is standard on both sides. All of these features combine to create the ultimate in comfort, durability and value. Weight: 123 lbs. Includes nylon casters and 1 steering caster. Dual Swing Away Arms and a 275 lb. weight capacity. Options include 4 Heat Levels and 4 Massage Settings. (6940NH) and CA TB-133 Vinyl. Note: Add 10" to width with table raised . 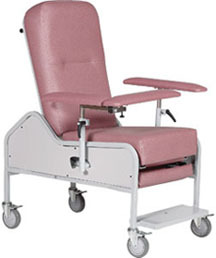 Back height is 32½"; Seat depth is 20"; Overall length with backrest reclined: 76½" long. Weight: 100 lbs. Overall height: 45½"; Overall width: 38"; Note: Add 10" to width with raised table. 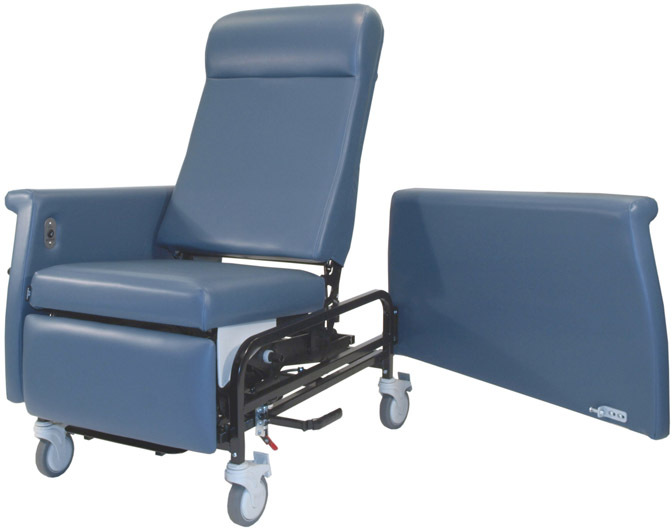 Back height is 32½"; Seat depth is 20"; Overall length with backrest reclined: 76½"l. Weight: 127 lbs. Dual Swing Away Arms and a 450 lb. weight capacity. 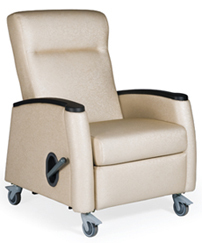 The 6950 Swing Away Arm Care Cliner is the extra large version of the popular #6940 Care Cliner. Options include 4 Heat Levels and 4 Massage Settings. (6950NH) and CA TB-133 Vinyl. Also available with optional IV Pole. Weight capacity: 450 lbs. Includes nylon casters and 1 steering caster. with Dual Swing Away Arms and a 500 lb. weight capacity. 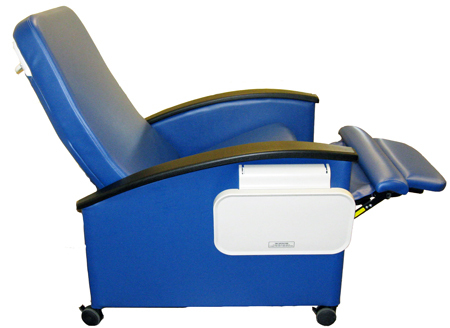 Designed for comfort and utility for nearly all treatment applications. 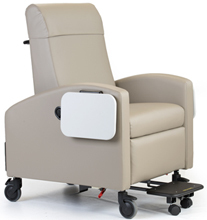 Features ultra-low effort, bi-lateral controls that promote patient independence. Requires 50% less pull force for one handed positioning. 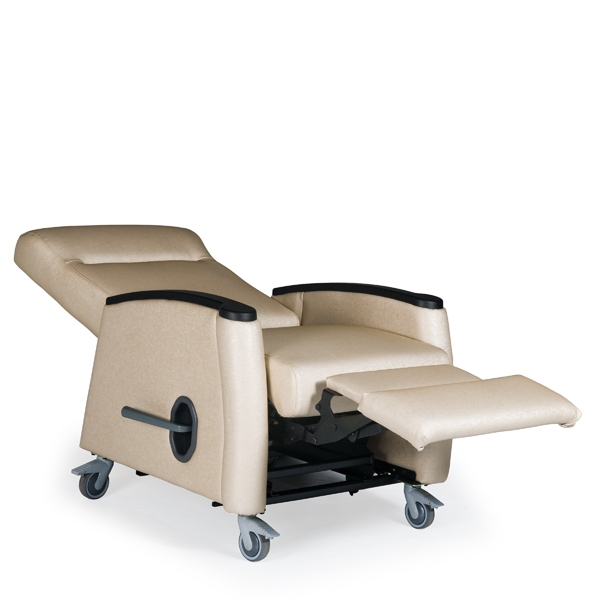 Patient comfort in every position from full upright to laying flat. Wide padded seat and naturally curved armrests, easily accessible controls and strategically located lumbar support. 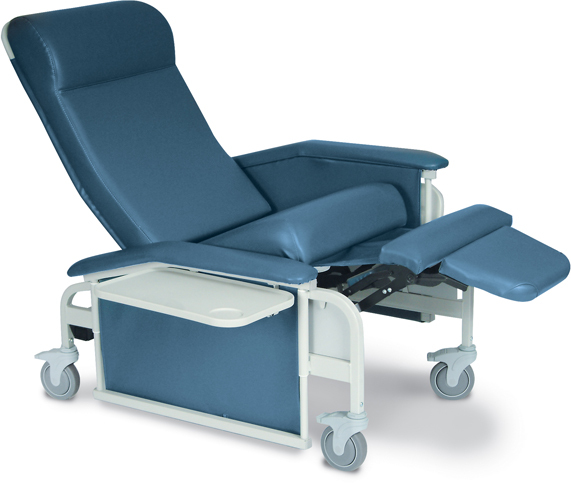 Designed with many benefits for clinicians such as optimized height side tables (optional) to reduce bending, stooping and straining. Gas cylinder and spring supported mechanism significantly reduce effort by caregiver to assist patient with reclining or sitting upright. Both arms swing out 180 degrees for barrier free transfer. Foot operated release is convenient for caregiver. Bi-lateral Trendelenburg function works even when swing arms are fully deployed. It will also roll through a 36" door opening with the swing arms fully deployed. Innovative safety shields direct errant fluids and make cleaning a snap. Includes 5" front fixed locking casters, 5" rear swivel locking casters and footplate. Footprint reclined: 34½"w x 75½"l; Weight: 198 lbs. Features a 4" larger seating area and a higher 450 lb. weight capacity. It is an XL version of the popular #6700 recliner.. It incorporates soft contoured urethane armrests that are durable and easy to clean. The design is sleek with a comfortable seating height that does not require a foot stool to enter. It features a full width unidirectional elastic suspension system in the back and seating area. The unique system allows a custom fit to every patient and will never bottom-out on a hard surface like springs or wood found in some designs. An easily accessible Trendelenburg feature is included. Dimensions: Back height: 32½"; Seat height: 20½"; Seat depth: 19½"; Seat/ back width: 26"; Overall width with tray down: 36¼"; Add 10½" for each side table in the up position; Footprint reclined: 73"l. Weight: 122 lbs. Footprint reclined: 32"w x 71½"l.
Features a sleek, non-institutional design. LiquiCell® improves blood perfusion and aids in reducing skin pressure. Smooth, seamless upholstery does not collect fluids and is easily cleaned. Includes an infinitely adjustable backrest. The non-porous blow molded fold down side trays with cup recess are mounted on both sides. Also available without side trays but the cost would be the same. Available with optional 4 Heat Levels and 4 Massage Settings and CA TB-133 Vinyl. 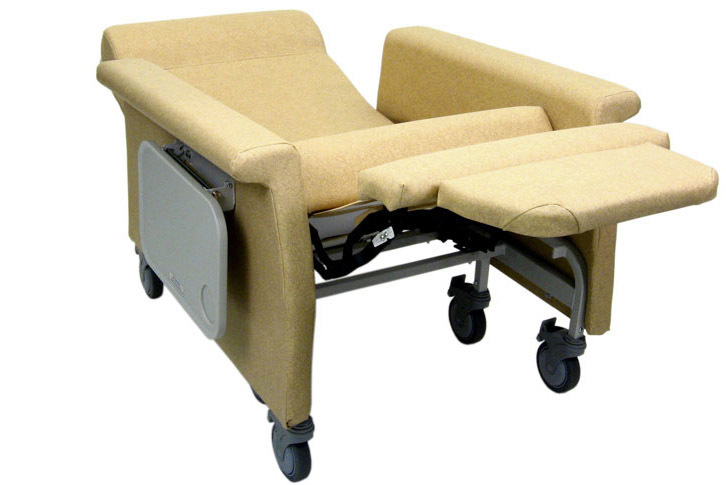 Includes low profile 3" steel, total lock casters for smooth rolling and maneuvering of chair. For above #6530, 6540, 6550, 6570, 6700, 6900, 6910, 6940, 6950, 6980 and 6990 Winco Recliners. #HC00 For Standard Width Chairs including #6530, 6531, 6550, 6551, 6560, 6900, 6910, 6940 and 6950. #HX00 For XL Chairs incl. #6540, 6541, 6570, 6571, 6910 & 6950. #AC00 For 6900,6910, 6940 and 6950. 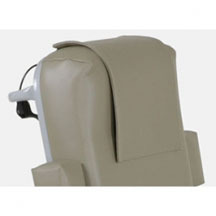 Please contact for information about armrest covers for other recliner models. #TB Meets California TB-133 & ASTM E-1537 Flammability Requirements for #5351, 5291, 5351, 5851, 6530, 6540, 6550 and 6570 Winco Recliners. #TB Meets California TB-133 & ASTM E-1537 Flammability Requirements for XL Chair Models including #6240, 6700, 6710, 6900, 6910, 6940, 6950 and All Vero Recliners.. Note: Required for non-sprinklered facilities in IL, MA, MN and CA. 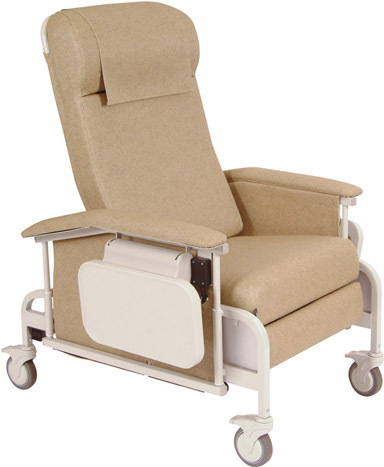 This chair reclines very easily and provides plenty of patient comfort. 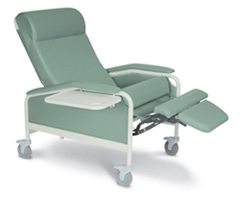 Extra long arms provide arm support from the full upright position to full recline allowing your patient to feel comfortable and supported. Fully reclines into trendelenburg position. Pneumatic assist allows for easy return to upright position. Dimensions: Overall width: 30"; Overall depth: 42"; Overall length reclined: 73"; Overall height: 50". Seat to floor height: 30"; Arm height adjustment: fixed. Includes four swivel/ lockable casters. 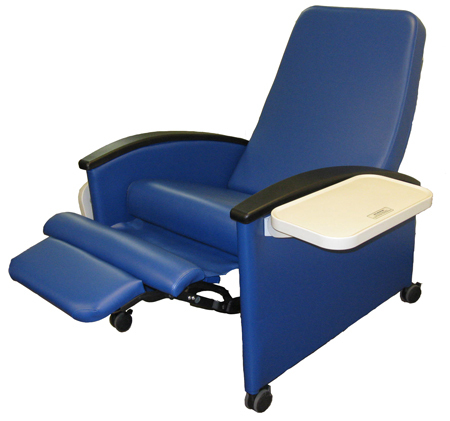 Vinyl colors match other MC Blood Draw Chairs shown on the Blood Draw Chair page. Shipped fully assembled. Made in The U.S.A.
are available. Optional CAL133 is available. Soft-touch padded arm travels with the patient as they begin to recline allowing the arms to follow the body. A padded arm crosses in front of the patient providing additional safety and comfort in the event of fainting or slumping forward. Available with optional flip up side trays with a raised edge. Also Includes four swivel/ lockable casters. Dimensions: Overall width: 30"; Overall depth: 42"; Overall length reclined: 68"; Overall height: 50". Seat to floor height: 25"; Arm height adjustment: 6". Weight capacity: 325 lbs. 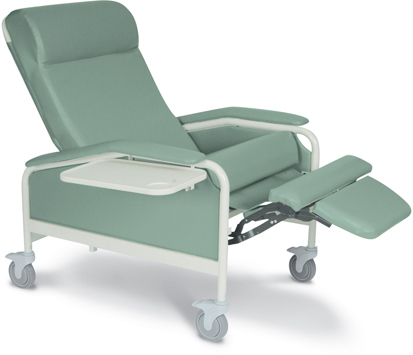 Soft-touch padded arm flip up and out of the way for unobstructed access to the patient. 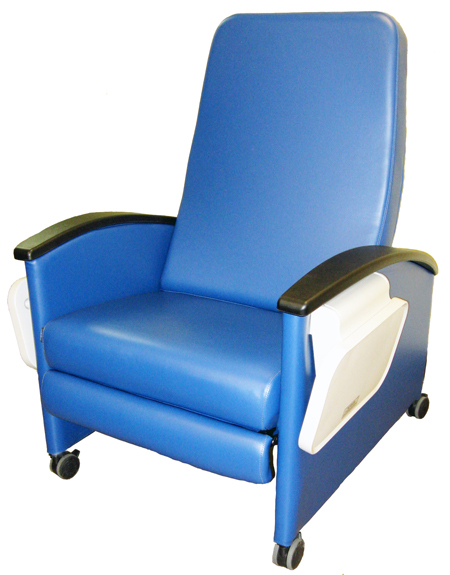 Low profile side panels allow for easy entry and exit from either side of the chair. Dimensions: Overall width: 30"; Overall depth: 42"; Overall length reclined: 68"; Overall height: 50". 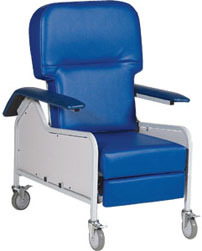 Seat to floor height: 25"; Arm height adjustment: Flip up style; Patient width: 22". Weight capacity: 325 lbs. 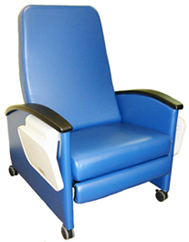 Made in The U.S.A.
Vinyl colors match other MC Blood Draw Chairs shown on the Blood Draw Chair page. Shipped fully assembled. 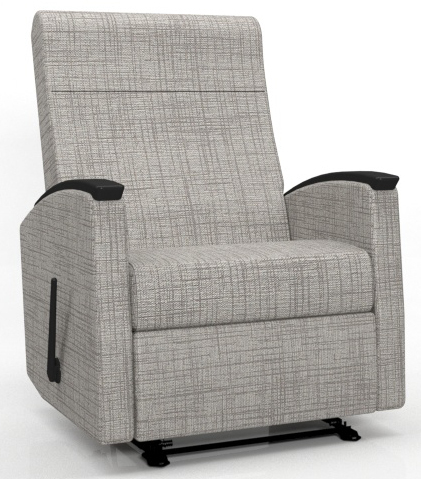 Designed to work with all #MC model Recliners. Chemotherapy Chairs, Dialysis Chairs, Apheresis Chairs and for other needs. Lounge Chair in reclined position. 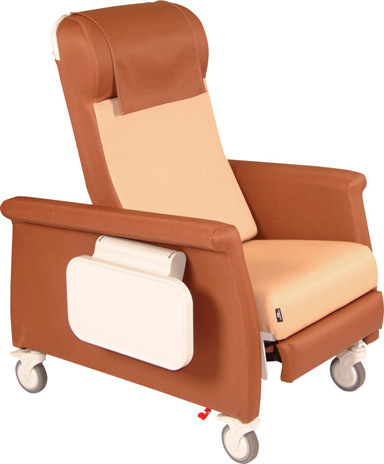 Ergonomically engineered for use as a Chemotherapy Chair, Dialysis Chair or Apheresis Chair. 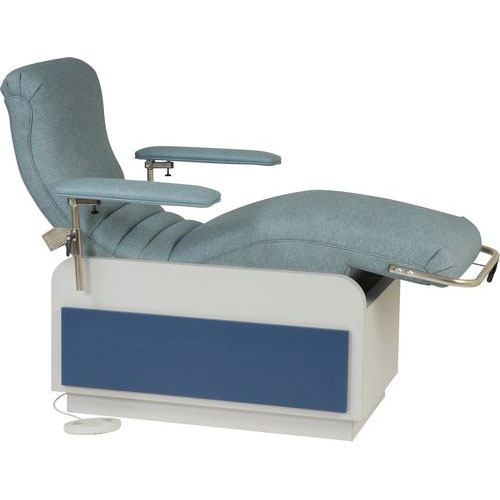 Fully upholstered comfort-flow contoured lounge allows the patient to relax during lengthy procedures. The low profile of the upholstered cushion allows easy entry and exiting from either side of the lounge chair. Extra wide tilt-up ergonomic/ adjustable padded arms have 7" of height adjustment accomodating different technicans. Features rapid, easy adjustment to trendelenburg position. 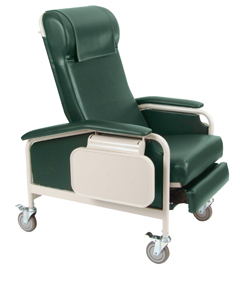 One handed recline with locking lever allows you to recline your patient to any position. The laminated base provides a solid and easy-to-clean foundation that you can attach optional storage units to for your supplies. Optional storage shelf and storage drawer is available. Dimensions: Seat to floor height: 24"; Arm height adjustment: 6"; Overall width: 36"; Overall length: 63"; Overall length reclined: 68"; Overall height: 51". Patient weight capacity: 325 lbs. Delivery: Approx. 4 wks. This chair is similar to above except for the dimensions which are shown below. Optional storage shelf is available. Dimensions: Seat to floor height: 24"; Arm height adjustment: 6"; Overall width: 36"; Overall length: 63"; Overall length reclined: 70"; Overall height: 48". Made in The U.S.A. Patient weight capacity: 325 lbs. Delivery: Approx. 4 weeks. 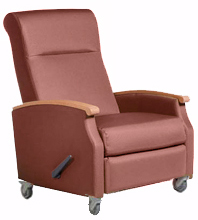 Features fixed recline position that automatically puts the legs above the heart. The laminated base provides a solid and easy-to-clean foundation that hugs the curves of the lounge. Dimensions: Seat to floor height: 24"; Arm height adjustment: 6"; Overall width: 32"; Overall length: 73"; Overall height: 45". Made in The U.S.A. Patient weight capacity: 325 lbs. Delivery: Approx. 4 weeks. 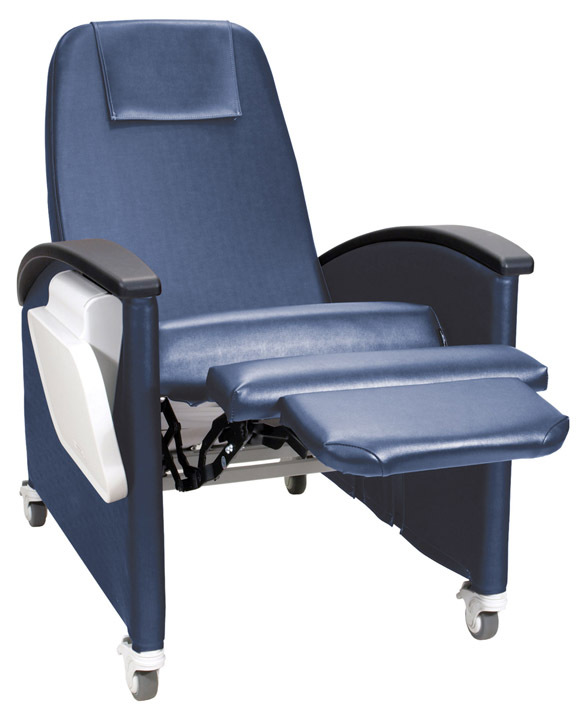 accommodates patients up to 400 lbs. 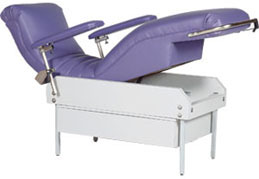 This power height adjustable donor bed will accommodate patients up to 400 lbs. Easily raise and lower the patient's height by depressing the foot switch. Foot section adjusts in height from 24" to 32". The 32" height is in the reclined position when placed into a trendelenburg position. 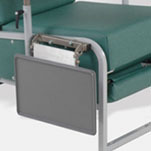 Height adjustable arms provide versatile positioning for the patient's arms. This contoured lounge is designed to provide comfort for extended periods. Dimensions: Overall width: 36"; Overall length: 63"; Overall length reclined: 68"; Overall height: 51" - 59"; Arm height adjustment: 6". with a 24" - 32"
The knee and the backrest has more of a gradual contour on this model. So this contoured lounge will provide better comfort for extended periods of time. Designed to fit all #MC model Lounge Chairs. Compatible with #12LUA and 12 LUAC model Lounge Chairs. There is some minimal amount of assembly required for both the La Z Boy and Winco Recliners. The backrest for both the La Z Boy and Winco Recliners must be positioned and locked into place by customer. The side trays and brackets for the La Z Boy and Winco Recliners are now installed at the factory. The IV pole brackets for the Winco Recliners must be installed by customer. They mount to one of the back corners of the recliner. Winco Recliners with steel casters swivel and lock but they do not have a steering caster. However, when you order a Winco Recliner with nylon casters, you also get one steering caster. The fork on the back left wheel on these recliners locks into place when you step down on the dark gray tab. This allows you to steer the recliner much more easily down the hall and around the corner. However this 4th caster does not have a lock. 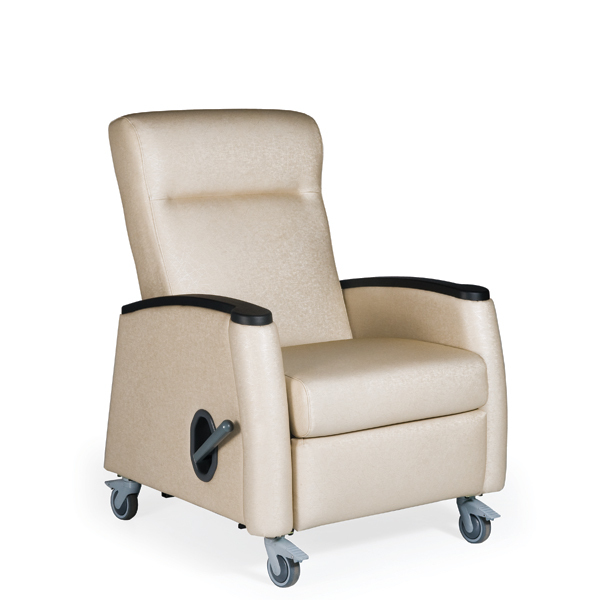 La Z Boy Recliners are available with front steer casters or swivel/ locking casters, depending upon the model. When you have front steer casters, the forks on the 2 front wheels are locked into place all the time making the recliner much easier to steer down hallways and around corners. The casters will also lock in place to prevent any movement. If you order the recliner with swivel casters, then all 4 casters will swivel and lock but there will be no steer casters. Suggestion: If you will moving the recliners down the hallway and around the corner very much, it would be better to order La Z Boy recliners with the permanent #2S front steer casters. If the recliners are to be stationary with some minimal amount of movement within one room, then it is better to order #4S swivel/ locking casters. 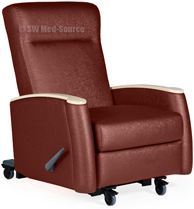 MC Recliners include swivel, locking casters. Do you want to see more choices? The above recliners show our "best sellers". But we have several other models from which to choose. Just e-mail or call us for a catalog or go to: http://www.wincomfg.com. Then contact us for your discounted price. 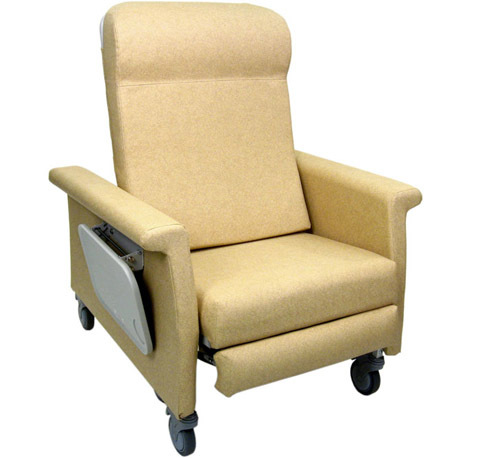 For Patient Room Chairs, Click here. 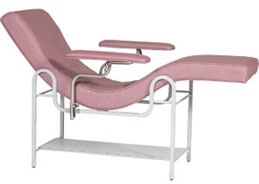 For Blood Draw Chairs, Click here. Please note: Upholstered chairs are custom, made to order with your color upholstery and are non-returnable. 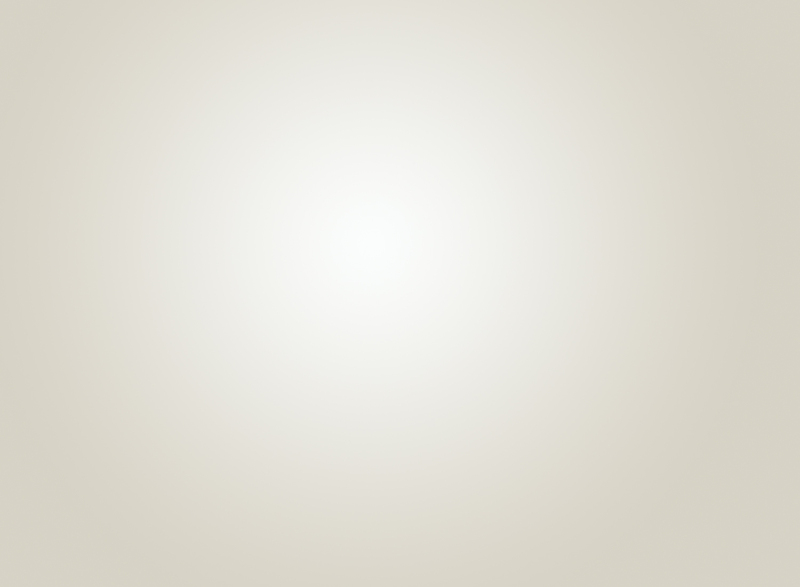 Manufacturer's dimensions and other specifications are subject to change without notice. Copyright 2005 - 2019, SW Med-Source Inc., All Rights Reserved, Opt. 03/18.